Hi there, how did your weekend go? Everything was back to normal here with football training and the dreaded homework! There are some things I could never miss – getting the kids to do their homework being one of them! 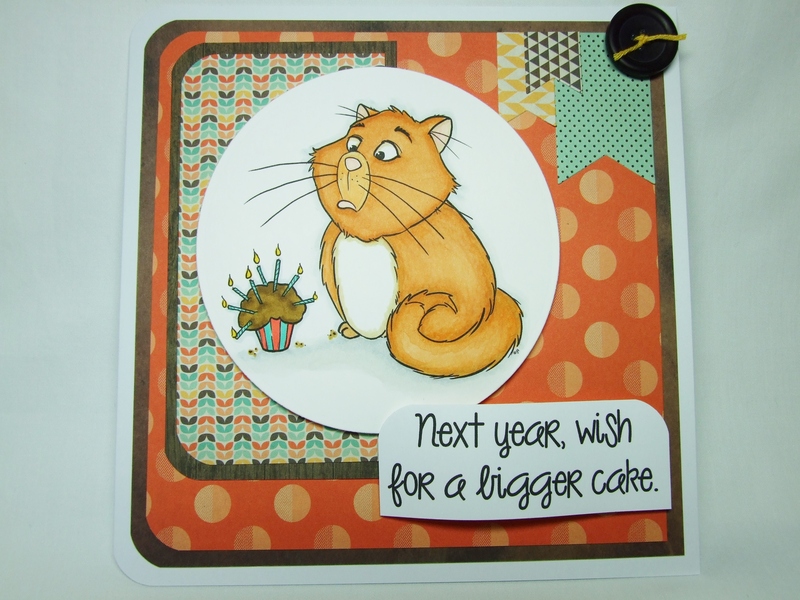 Anyway, here’s a card that I have made using a digital stamp by Faith at fromtheheartstamps.com. This image is one of several that Faith has designed as part of a fundraising idea for her daughter Mekaela’s ice hockey team. You can read all the details HERE. As a cat lover myself, and being from a cat loving family, I knew I just had to have this super cute – if not a little disgruntled kitty in my collection! I have made this card with my brother in mind (even though his birthday isn’t until December!). 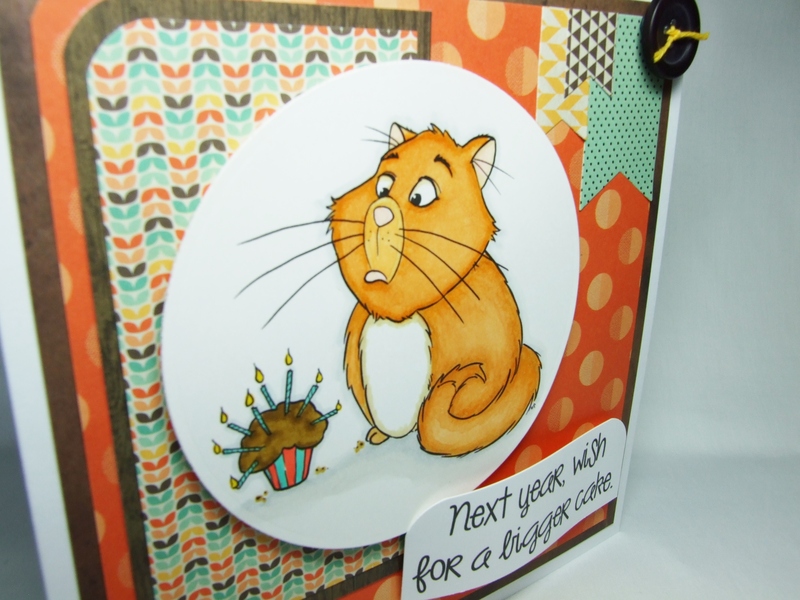 He loves his cat (Pudding) and he loves cakes – what more could he ask for?!! There are 5 great sentiments in this set too, I thought this one was definitely appropriate for my little bro!! For some reason I had problems with the photographs today – this little fella didn’t want his picture taken! But I suppose we can all be a bit shy sometimes can’t we :-). Still I did manage to get a couple! I have also used papers by Fancy Pants – ‘True Friend’, Spellbinders circle and banner dies and Spectrum Noirs. He USA cutie! Fun card and great layout! That cat image is just too fun – thanks for my morning smile 🙂 Darling card. This is just too cute! I love the look on his face! I couldn’t help but chuckle when I saw the look on his face!! Fabulous papers and design, Karen! Your brother is going to love it!! This is too cute! What a darling image. Hehehe, I too have a sibling who loves cats (& cake! ), and will use this image to make my sister’s birthday card. great minds eh?